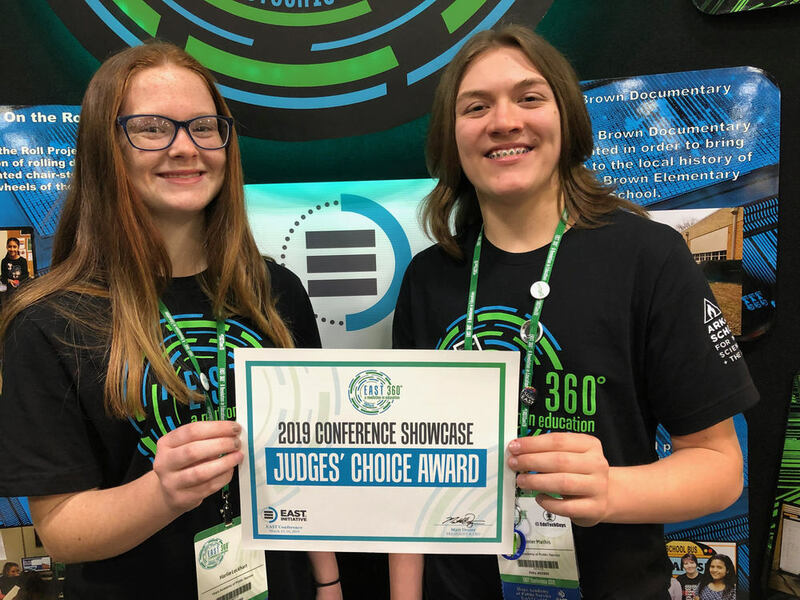 The Hope Academy of Public Service EAST (Environmental and Spatial Technology) program presentation team was named a “Judges’ Choice” at the 2019 EAST Conference in Hot Springs. More than 250 programs from schools across Arkansas were represented in the three-day competition March 12-14. Each EAST program presents an overview of its project year, which outlines the nature of each project and the results attained. Those projects are illustrated on a wall-sized panel planned and produced by the students as part of a booth representing their school. Representatives from each program team must explain each project and answer questions posed by the judges. Thirty-two programs were chosen as “Judges’ Choice” presentations, Brady said. “We are thrilled to have caught the eye of the judges and have plans to do so, again, next year,” she said. 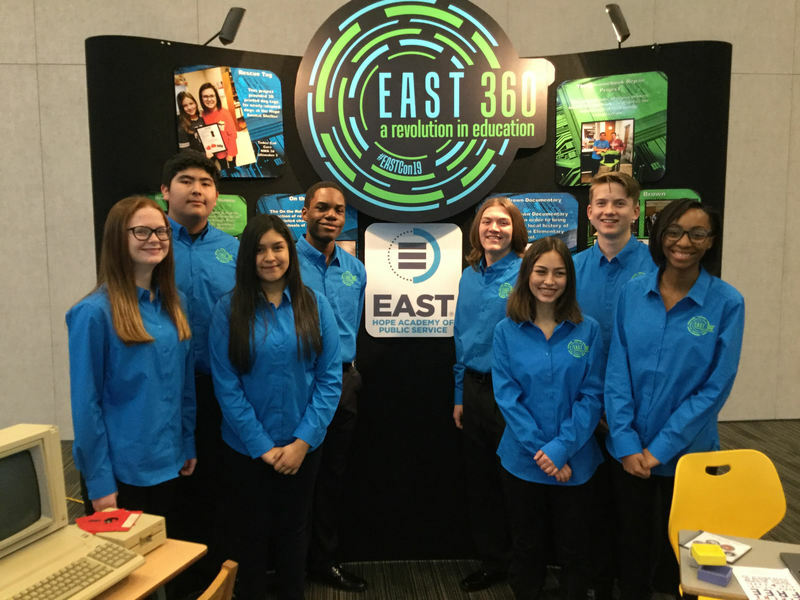 HAPS EAST team members included Lockhart, Mathis, Edith Dominguiz, Mika Brown, Kristin Morrison, Juan Leon, Richard Ware, and Collin Easterling. “This is a great honor and definitely puts the Hope School District on the EAST Initiative’s radar for greater things to come,” Brady said. The program has been in operations for two years at HAPS, which has been a campus of the Hope Public Schools for three years.